The Apple iPhone X's release has come and gone, so if you managed to secure one for yourself since then and have fallen in love with the phone's elegant design, we seriously hope you were also mindful enough to pick up a case of sort to protect it – in the event of some unfortunate circumstance occurring, obviously. If not, then you'll want to pay extra attention to what we have to show you in the list below, which will cover the majority of Silk's latest cases for the Apple iPhone X. From minimalist cases meant to add a smidgen of protection, to those that bulk up the phone's size for additional peace of mind, and even these versatile 2-in-1 wallet styled cases, Silk covers the gamut to match your need. Even better, if you're itching to snag any of the cases mentioned below, you'll find the appropriate links to them on Amazon at the end of each description. 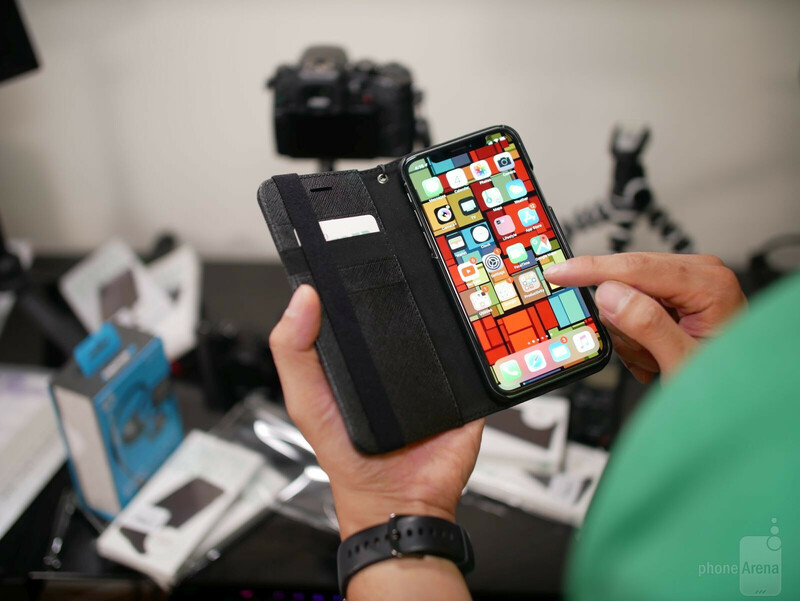 With that out of the way, let's take a look at these Silk cases for the Apple iPhone X! 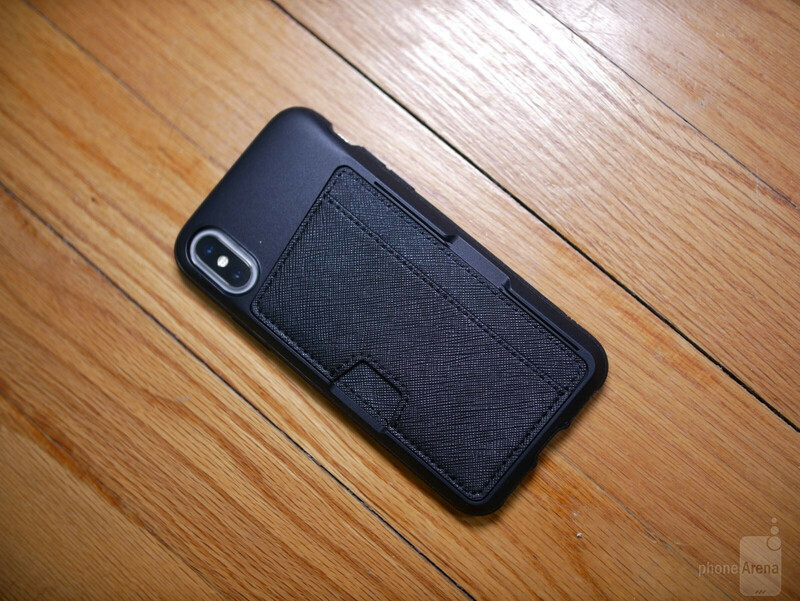 We're starting off the list with Silk's Base Grip Case, which is something we'd recommend for those owners who want something simple and without complication. 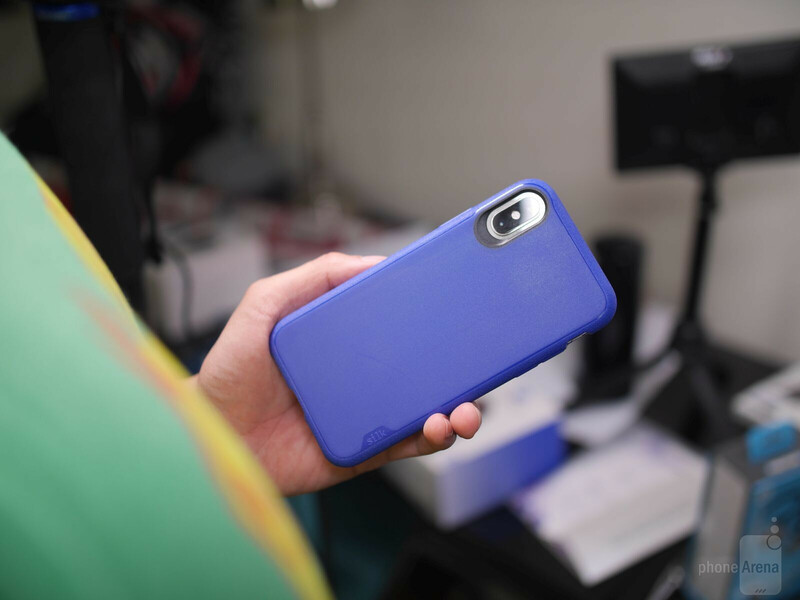 Available in four different colors, black onyx, crimson red, purple orchid, and blue jade, the Base Grip Case features a thicker border that runs around the phone to not only offer a tighter grip in the hand, but it also helps to cushion the impact from slight falls – we're talking about minor things, not major impacts from great heights. In regards to its design, it's definitely as simple as it can get with a case. 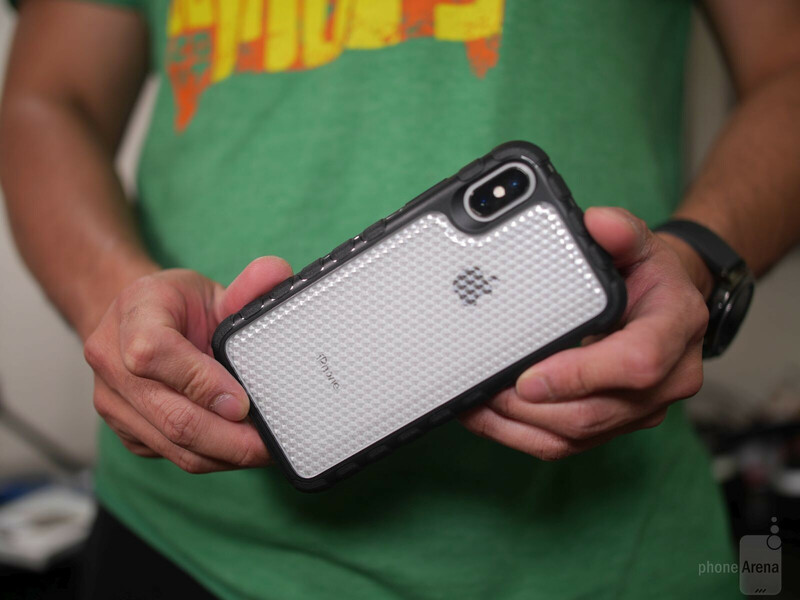 While the Base Grip Case offers a small degree of protection around the sides of the phone, as well as the back, the display of the iPhone X is left exposed – albeit, the thick border of the case makes the phone recessed by a little bit. Thankfully, though, it comes included with a screen protector film that'll do nicely to keep the screen from scratching when it's laid flat down. It's priced normally at $14.99 through Silk's web site, but on Amazon, it fetches for an even better $11.99 right now. For the price, it's worth looking into even if you're not into cases, just because it'll help to keep the iPhone X pristine looking versus having it naked and exposed to everything. 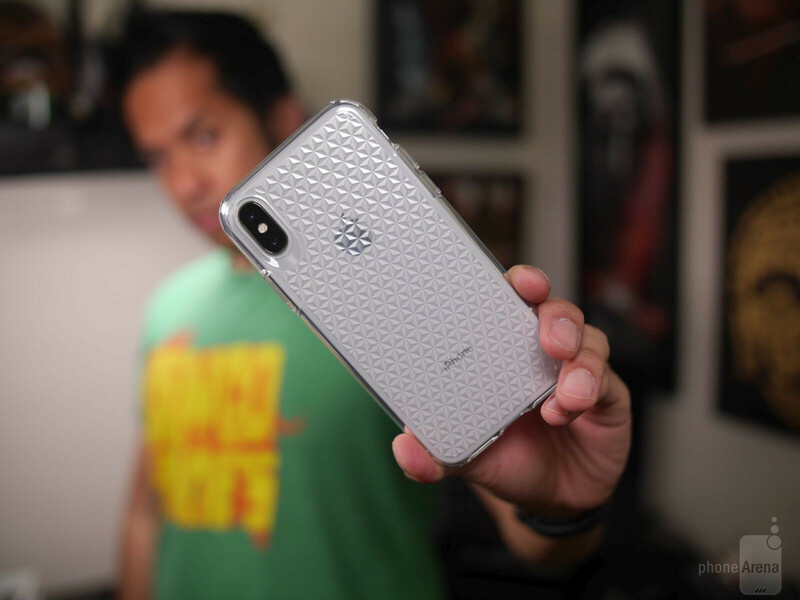 Making a stark statement, the Silk Pureview Case will ensure that your phone will be noticed wherever it goes because of its tantalizing pattern. 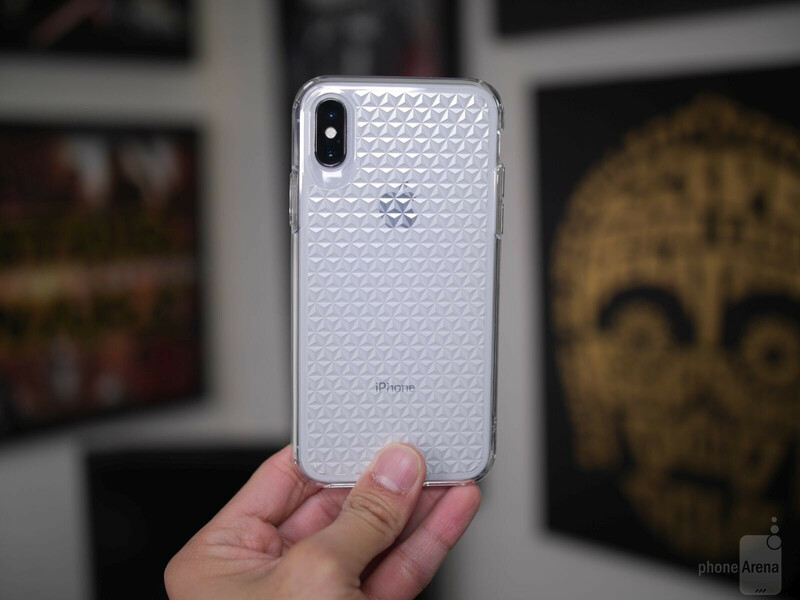 Featuring a skin-tight finish that tightly wraps the entire iPhone X, there's an inlaid diamond pattern running across the entire backside of the case, which will garner plenty of looks because of how it dazzles when light hits the surface. On top of that, this diamond array pattern does add an eye trick of sorts by making the back appear as though it's textured. Beyond that, the Pureview case offers just about the same level of protection as the Base Grip Case – so it's something useful against normal wear and tear stuff, but it's really not meant to safeguard the phone in the event it's dropped severely. And just like the Base Grip Case, the display of the iPhone X is recessed to prevent it from coming into contact with surfaces when it's laid flat with the screen facing down. But hey, it also comes included with a screen film protector. You'll need to hand over $14.99 to get it through Silk's web site or Amazon. 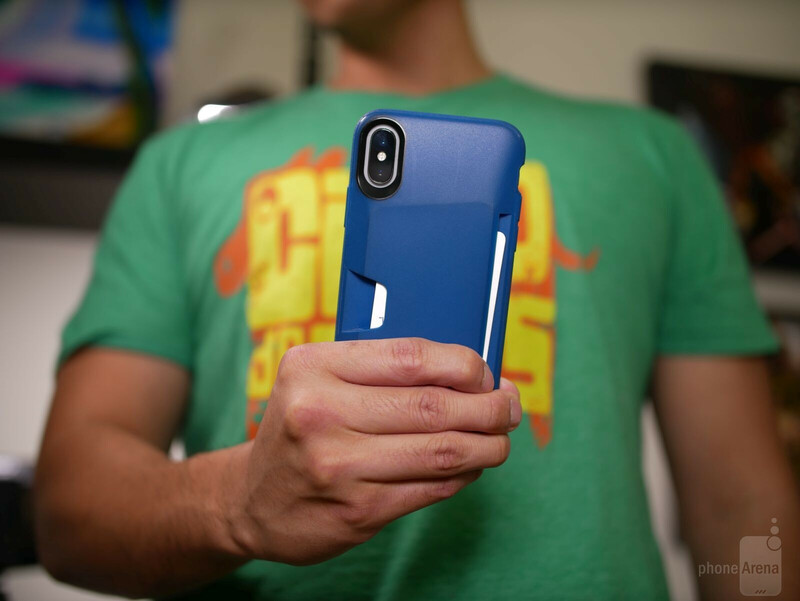 Now, if you're rougher with your iPhone X, then you'll want to probably check out the Silk Armor Case for the most protection. 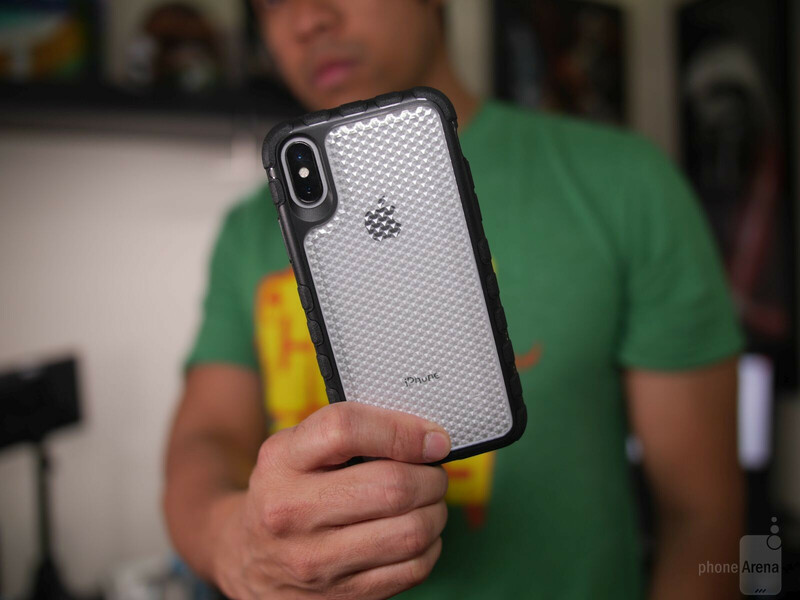 From those light drops, to some of those mouth clenching ones from high up, the Silk Armor Case is designed to deliver superior protection to keep the iPhone X looking pristine. Due to its protective qualities, like its protective air-pocket corners and thicker rear covering, the overall size of the phone is bulked up in the process to ensure everything is solidly protection. While it's not necessarily the most attractive looking case in Silk's collection, it still manages to dazzle with the pattern array covering the back of the case. Rounding thing out, Silk also throws in a slightly more substantial tempered glass screen protector that'll do nicely against drops as well – unlike the thinner screen protectors packaged with the other cases mentioned previously. 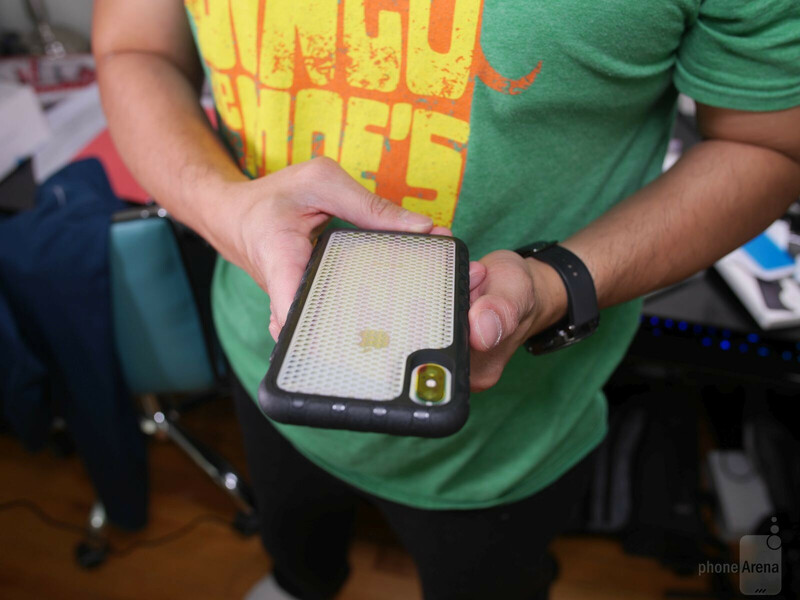 Due to its protective qualities, the Silk Armor Case retails higher at $19.99, so if you want the added level of protection, you're going to need to plop out the money to pick it up. Next up on the list, we're moving onto Silk's various wallet styled cases, which provide versatility because they eliminate the need for you to bring your wallet around. 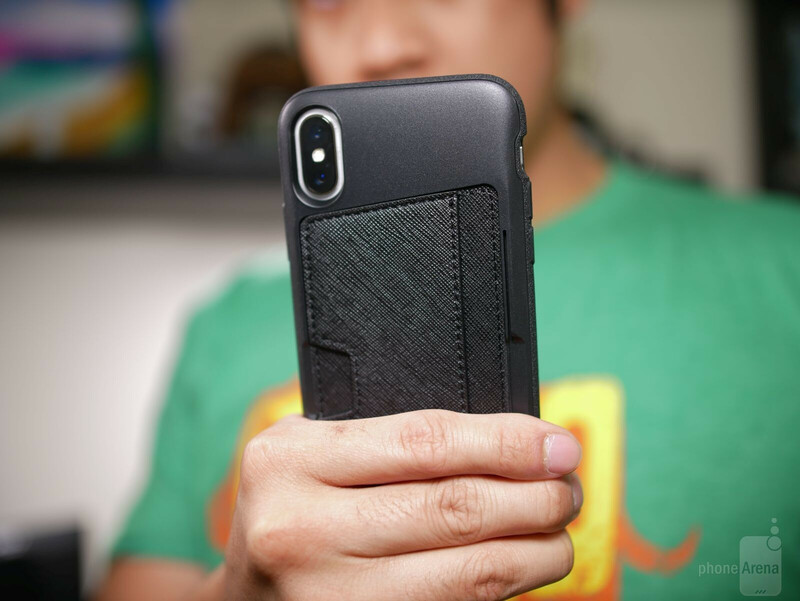 With the Silk Vault Case, it'll allow you to carry around your iPhone X everywhere you go – while also accommodate up to 3 cards in its accessible slot. You would think that using the case for a while with three cards in there would loosen up the slot's grip, but actually it doesn't because there's a notch inside that help to keeps the cards pressed tightly against one side. 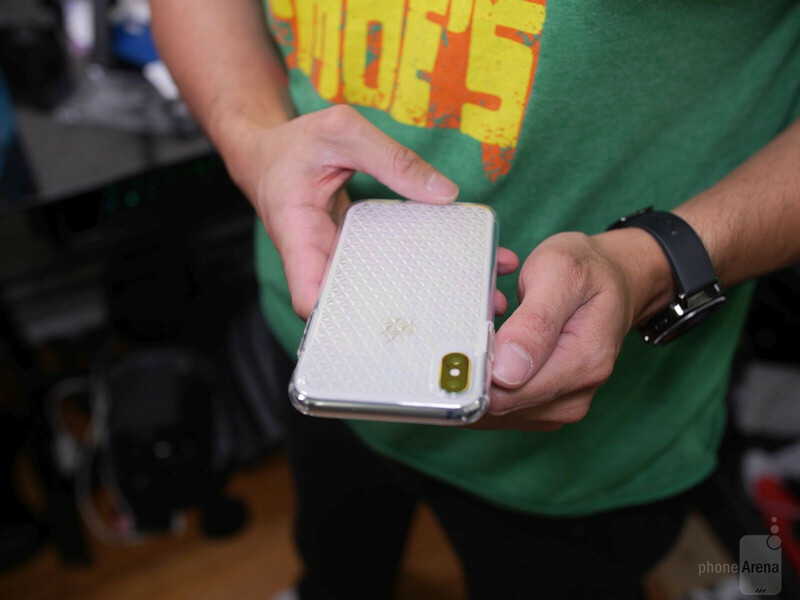 Protection is on par to what the Base Grip Case provides, so it's enough to safeguard the phone from minor things. Add to that, it features the same distinctive grippy edges that also help to cushion the phone's fall in the event it's dropped. And lastly, they're still nice to also include a simple screen protector with the case – so that the display won't get scratched up. Doubling as both a case and wallet, the Silk Vault's price of $14.99 doesn't seem too shabby given how it'll free up your pockets when it's a night on the town. Those who have an appreciation for folio styled cases, the Silk Folio Wallet Case will surely keep you content, as it features a versatile design to keep your cards and case together in one place – while also offering the convenience of a hands-free video watching experience. With its fold-out folio design, the iPhone X is completely under wraps until the case is opened up to reveal it on one side, and on the other, slits that accommodate up to 4 cards and room for some cash in another separate compartment. If you're the kind to have a stuffed wallet, the Silk Folio Wallet Case will be more suitable for you. 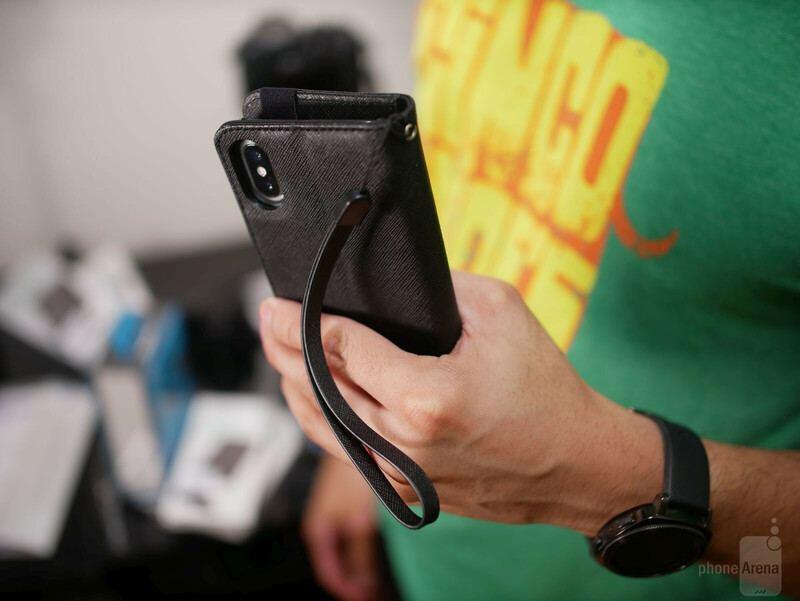 As for the design of the case, it has this faux-leather finish dubbed by them as 'Saffiano Texture Fabric' and it even comes included with a lanyard that helps to keep the phone tethered to you at all times. Since the materials add more bulk to the phone, it helps to cushion the phone as well for protection against minor drops. 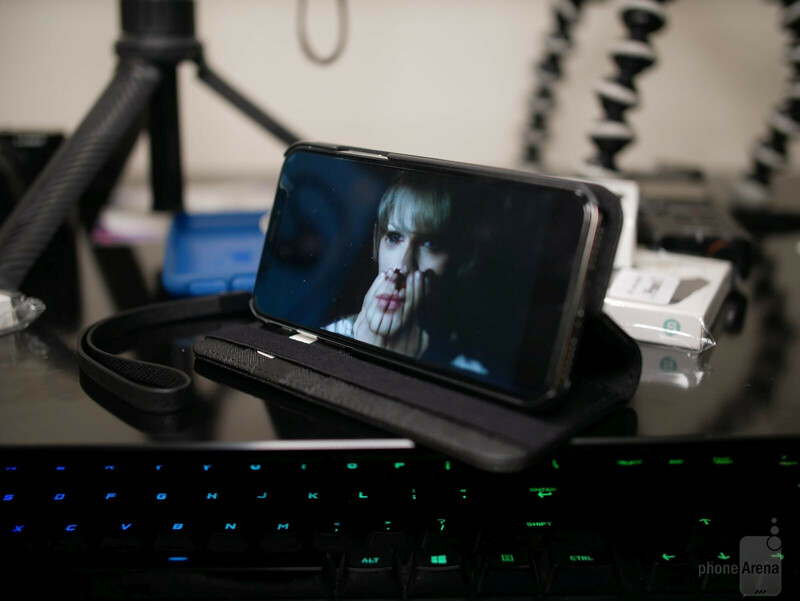 Lastly, if you're into watching a lot of videos on the go, you'll surely appreciate how the case features a kickstand of sorts by propping up the iPhone X at a slight angle for a hands-free watching experience. 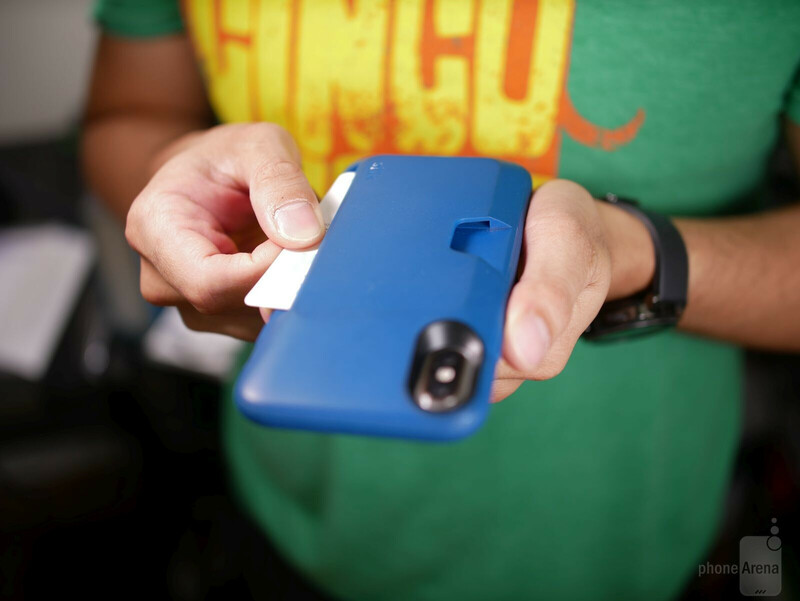 If you don't mind the added heft over the Vault Case, Silk's Folio Wallet Case delivers more space for your cards and cash – while also delivering that kickstand for watching videos. 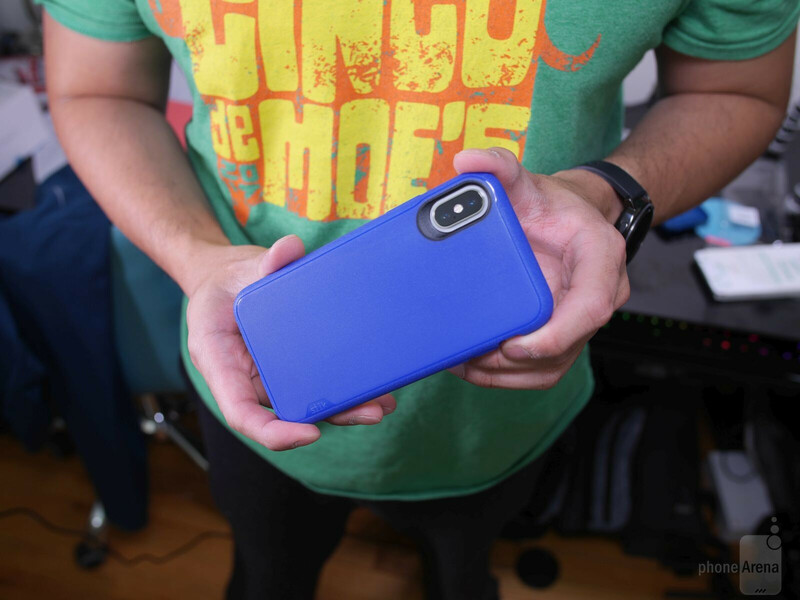 Sporting a price of $14.99, you'll only need to determine if this kind of case is more practical for you than the other one. The last one we'll be talking about in this roundup is the Silk Q Card Case, which looks very much like the cheaper Silk Vault Case. 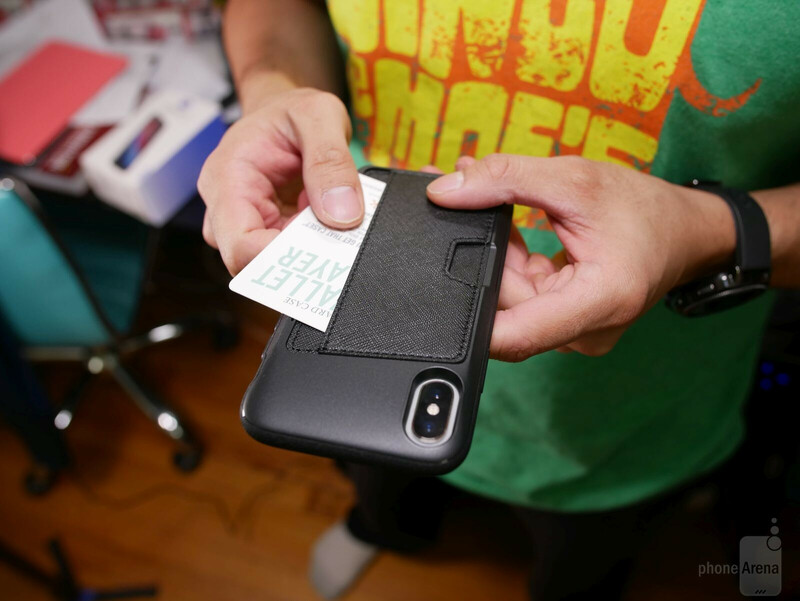 For starters, it's a versatile wallet case that's designed similarly to the Vault Case, seeing that it features a cutout that can accommodate up to 3 cards and some case – all while safely providing protection to the phone. The main difference here, though, is that the outer covering of the cutout features this somewhat denim textured covering with a stitching pattern outlining it. 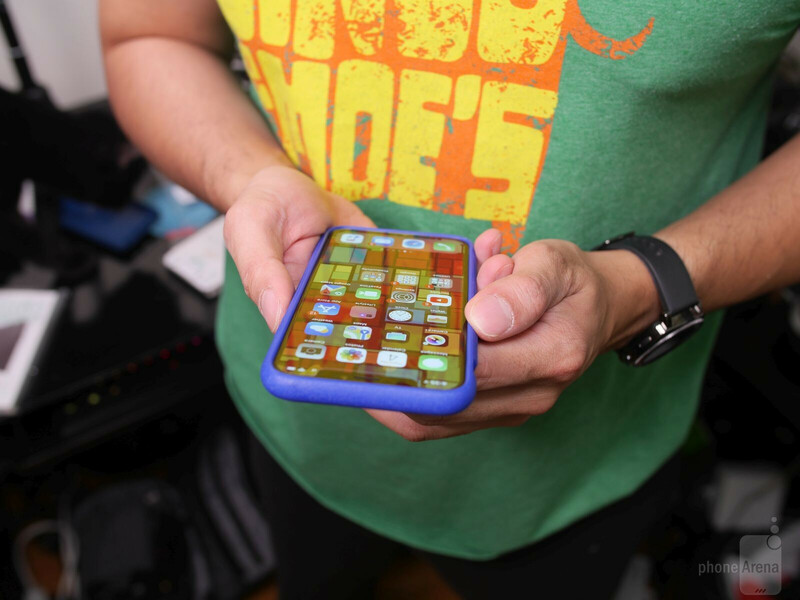 Luckily there's no compromise to the case's protective qualities, as it too features the same grippy sides that can cushion drops a bit easier. 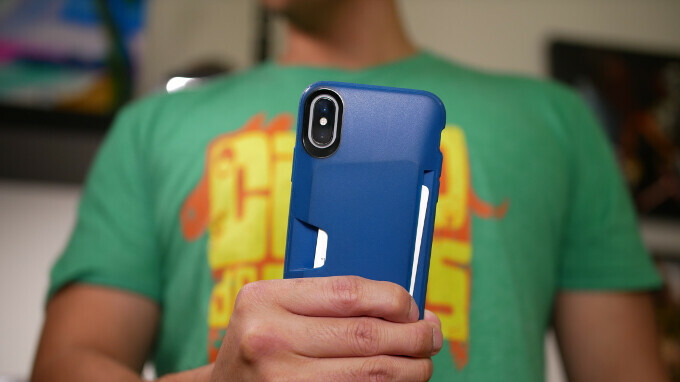 Yes, it's clearly has more of a fashion sense to it than the Vault Case, but the Q Card Case is also differentiated by its built-in kickstand. Inspecting the back of the case closer, you'll notice that there's a slit towards one side that allows users to stick a card in there to help prop the iPhone X. It's useful obviously if you intend on watching videos, but it's just swell that the Q Card Case eliminates the need for carrying a dedicated wallet with you! And yes, it does come with a screen protector as well! 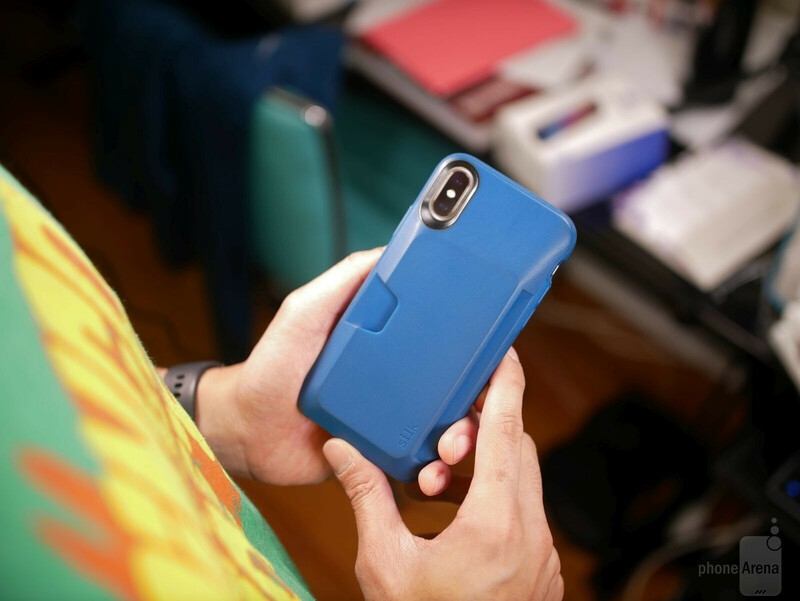 The Q Card Case is one of the more expensive offerings in Silk's collection at $24.99, so if you like its fashionable design and ability to act as a kickstand for your phone, it might be a suitable option for you over the other two wallet cases we have listed previously.